Tonight will be another Extraordinary public meeting of Wirral Council councillors. This one was called by five Liberal Democrat councillors (Councillors Brame, Carubia, Gilchrist, Kelly and Mitchell) on the 21st February 2019. The councillors asked for an end to the Environmental Enforcement Contract between Wirral Council and Kingdom Services Group Limited. Since that point, planned scrutiny by 15 councillors (see above) of the controversial trade waste enforcement part of this contract was cancelled last Wednesday evening (however Mark Smith read out a statement). This was watched by Cathy Roberts in the audience who runs a bookshop called Literally in New Brighton and had been the subject of recent articles such as this one in the Wirral Globe last month about the heavy handed nature of Kingdom’s trade waste enforcement and Kingdom’s issuing of FPNs to those involved in running Wirral businesses. 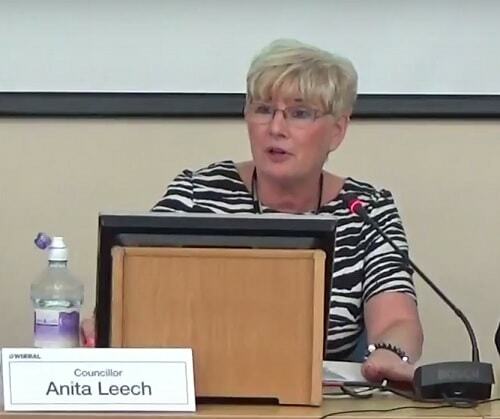 This also is connected to the recent decision (made on the 7th March 2019) by Wirral Council’s Cabinet Member for the Environment Cllr Anita Leech (effective from Friday 15th March 2019) to ask Wirral Council senior managers to agree to terminate Wirral Council’s Environmental Enforcement contract with Kingdom Services Group Ltd. The heavily redacted contract agreed last year can be found on Wirral Council’s website with the amounts that Kingdom received for each type of FPN published here. Tonight’s public meeting of Wirral Council councillors has a notice of motion moved by the Liberal Democrat councillors (Cllrs Brame and Mitchell), a second notice of motion moved by the sole Green Party councillor (Cllr Cleary) and seconded by a Liberal Democrat councillor (Cllr Carubia) and an amendment to the Liberal Democrat notice of motion moved by two Labour councillors (Cllrs Leech and Phil Davies). The public meeting will be held in the Council Chamber tonight (if you are reading this on the 18th March 2019) at Wallasey Town Hall, Brighton Street, Seacombe, CH44 8ED starting at 5.00 pm. There will be space for about fifty people to watch in person from the public gallery (on the 2nd floor) which is the floor above the Council Chamber. « What did the public ask at the last public meeting of the Wallasey Constituency Committee? So Kingdom are laughing all the way to the bank! Sadly, I think such penalty clauses for terminating the contract early are in the “commercially sensitive” part of the contract blacked out by Wirral Council. However I would guess that in order for the contract to be ended by “mutual consent” that Kingdom had asked Wirral Council a contribution towards their lost revenue from the remaining 2½ years left on the contract that was agreed to last year. Weirdly a lot of the information about how many FPNs were issued has vanished from Wirral Council’s website too.